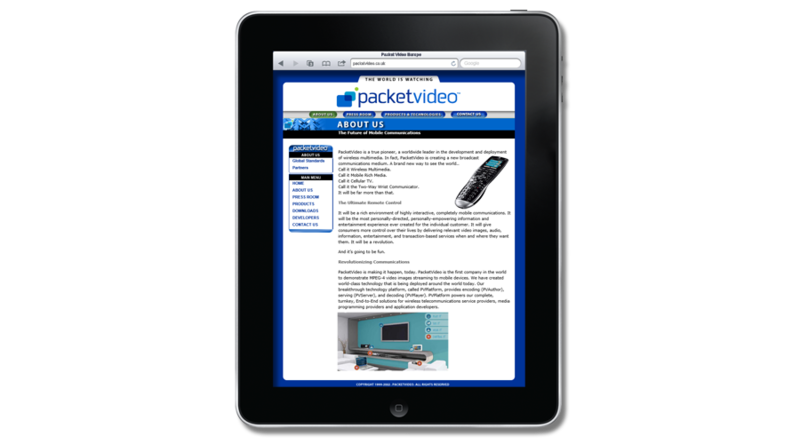 The PacketVideo Corporation was founded in 1998 in San Diego, California. PacketVideo was the first company in the world to demonstrate MPEG-4 video images streaming to mobile devices and quickly established itself as the global leader in mobile / wireless multimedia. You may not have heard of the company, but there's a very good chance you've used their software. PacketVideo developed and launched Twonky, the industry’s most innovative and proven DLNA-compliant UPnP video streaming technology, which is used in multi-millions of digital devices and services offered by the world’s most recognised consumer brands. With TwonkyBeam, consumers can stream video content from their mobile device straight to their Smart TV, or from a PC or equivalent device running TwonkyServer. To promote the European activities of PacketVideo, specifically in the UK, Germany, France, Italy and Spain. The sites had to deliver in three ways: (i) sell (ii) reinforce (iii) support. The target markets for the sites were business to business in the UK, Germany, France, Italy and Spain. In particular, mobile telecommunications service providers, media programming providers and application developers. The sites needed to act as micro-sites, complimenting, but not totally replicating the corporate site. 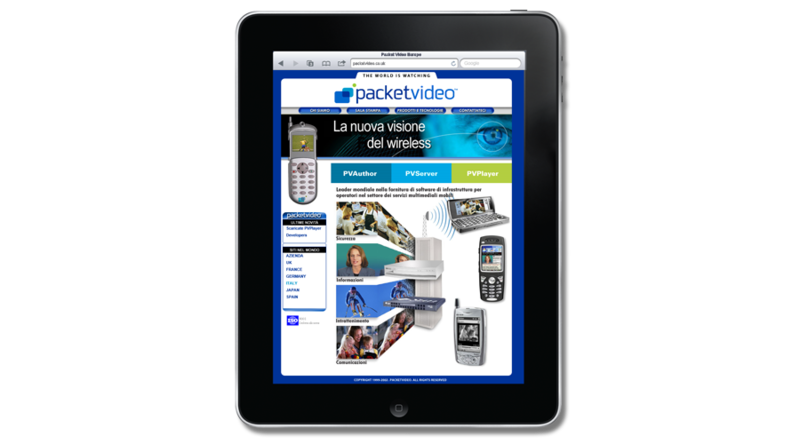 The sites needed to demonstrate the strength of PacketVideo across Europe, highlighting in country sales and support, and reinforcing the company status of global supplier. Consideration had to be given to the fact that whilst the primary target market was business to business, the pioneering technology is of interest directly to the consumer. InForm Web Design have worked to incredibly tight deadlines and have delivered on their promise in all respects. Our European sites have been very well received by the telecommunications press and our industry partners. InForm continue to work effectively with our European Marketing team to ensure all our websites are current and demonstrate the strength of PacketVideo across Europe. The five sites were developed using the Drupal Content Management System (CMS) - all centrally managed. We chose Drupal for this implemetation as it met the functional requirements for the proposed site perfectly. It enabled rapid prototyping, is highly customisable and allows for organic growth. We also implemented a Google AdWords PPC campaign which we managed as part of the support agreement as well as online and offline marketing collateral.